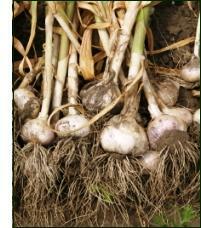 Garlic is a well known herb used in a variety of dishes all over the world. 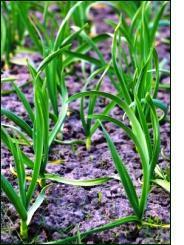 You don't need to buy questionable garlic that's possibly an irradiated imported product... stick some in every spare corner of your own garden. The time to start considering harvesting is when about ¾ of the plant has turned yellow or you see the leaves closest to the ground turn brown.